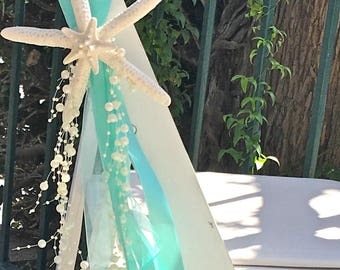 Decorate your beach wedding or event with this beautiful Natural Starfish decoration. 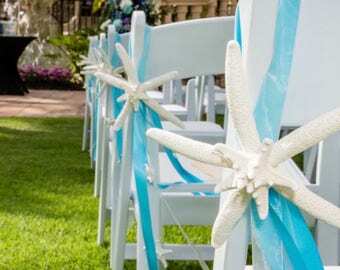 Perfect for chairs or pews and could also be used to decorate reception and buffet tables. 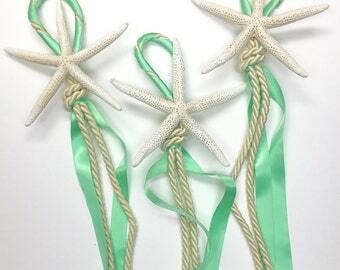 There are two natural starfish attached to 3 satin ribbons, 1 ivory sheer ribbon and a beautiful beaded garland. If you'd like to use two different colored ribbons, please choose the 'Custom Colors' option and leave me a note when purchasing. 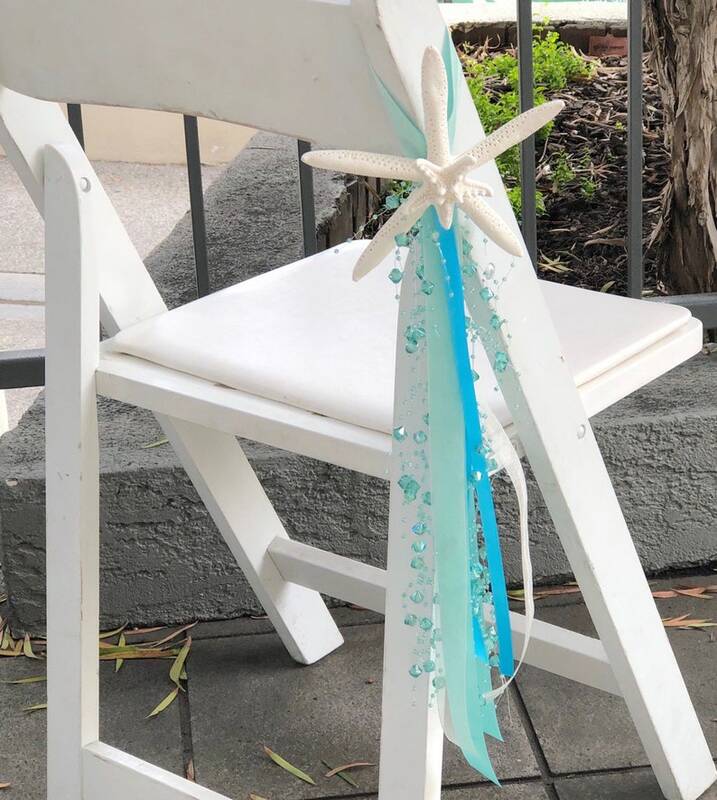 First photo: Kona Blue and Aqua Ribbons with Aqua Beads. 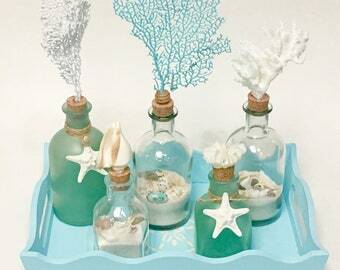 Second Photo: Aqua Ribbons and Ivory Beads. Third Photo: Mint Ribbons and Ivory Beads. 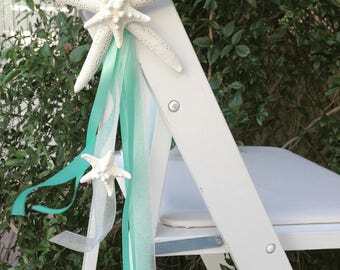 Fourth Photo: Aqua and Kona Blue ribbons with Sea Green Beads. Please see last photos for ribbon and bead colors.